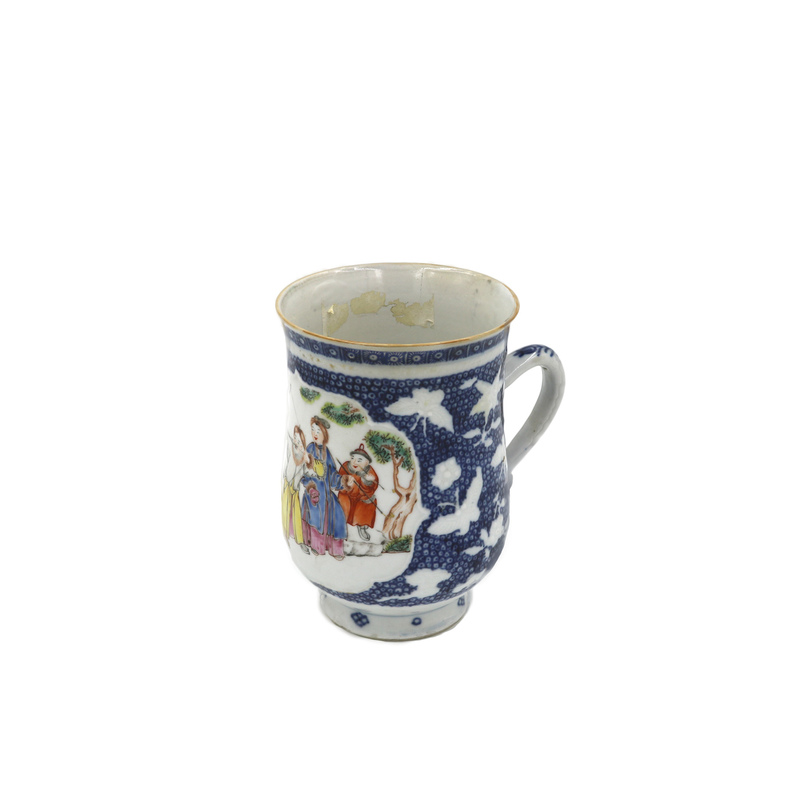 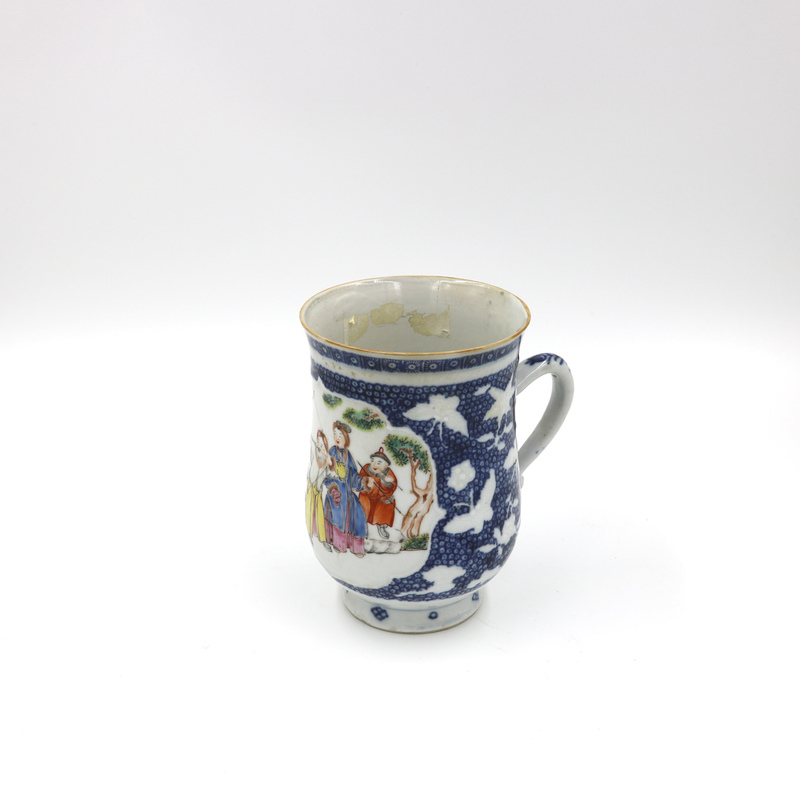 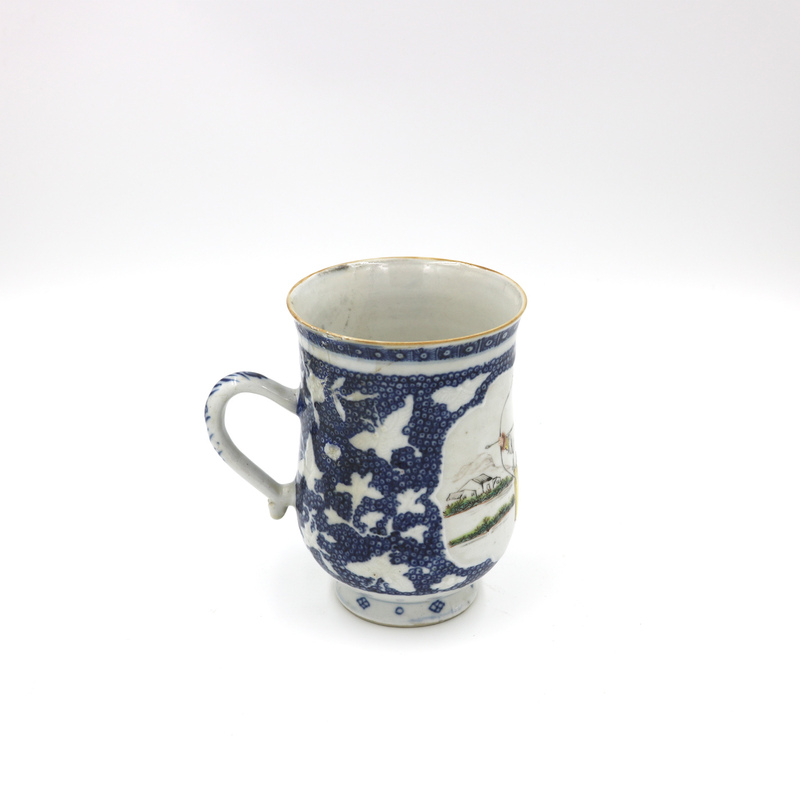 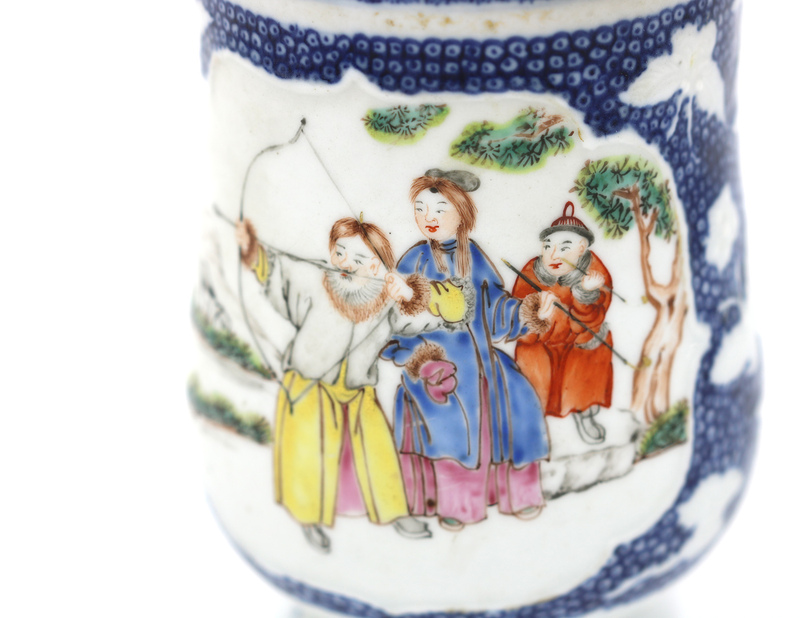 Chinese Export Famille Rose Mug / Tankard circa 1820 in baluster form with detailed vivid color hand-painted scene of Chinese bow and arrow hunters in traditional dress and a surround of textured blue and white butterflies and floral motif. 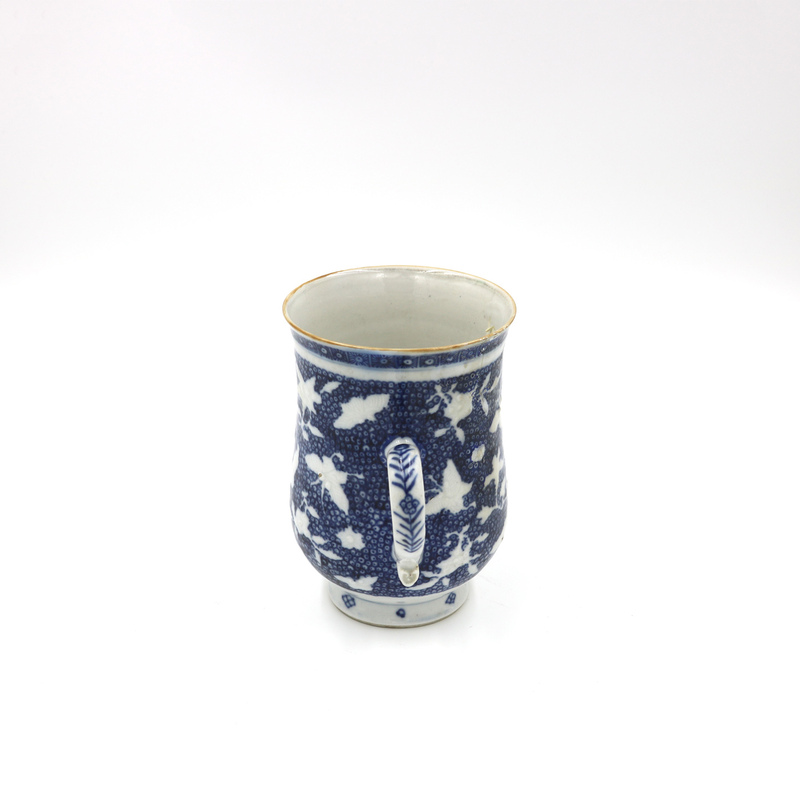 height: 5.5 in. 14 cm., width 5 in. 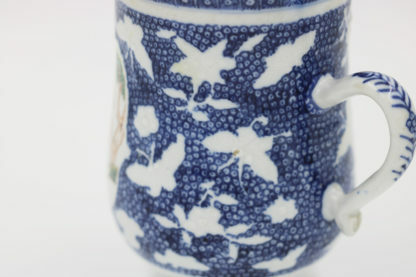 12.75 cm., depth: 3.75 cm. 9.5 cm. 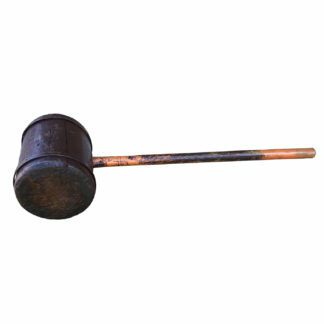 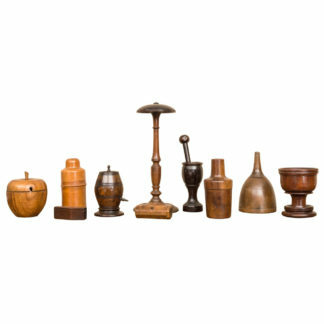 Very Large Antique Wooden Mallet, Circa 1880. 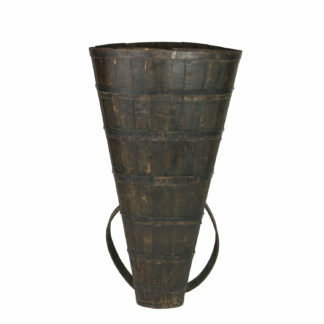 French Oak Grape Hod; Oak Slats Bound With Metal Straps And Leather Shoulder Harness, France, Circa 1900.